The wait is over – the Victorian Government announced on Friday households in the state can now apply for the VIC Solar Homes rebate for solar power systems. There’s been a huge amount of buzz regarding the rebate since it was announced a few weeks back, with more 10,000 people registering their interest to date. We’ve certainly seen a major uptick in Victorians requesting solar quotes via the free service offered here on SolarQuotes. “10,000 homeowners installing 4kW solar systems would add 40MW of new solar power to the grid – more than the new 34MW Cohuna Solar Farm, announced as part of the Victorian Renewable Energy Target auction,” states a Victorian Government press release. As previously mentioned, the rebate is available to Victorians with a household income of less than $180,000 who are the owners and occupiers of a property valued at less than $3 million at which the solar panels will be installed. The rebate applies to installations that occurred on or after 19 August 2018. For households that have already had a system installed, the form to claim the rebate is here. Council rates notice for the installation address. Australian Tax Office Notice of Assessment for the 2016-17 or 2017-18 financial year for all home owners of the installation address. Distributor’s Solar Connection Form or Micro Embedded Generator Connection Form if connected to the mains grid. Receipt including total cost of system installation, any discounts and rebates applied (e.g. STCs), and any amount outstanding on the system. Council rates notice from the last 12 months. 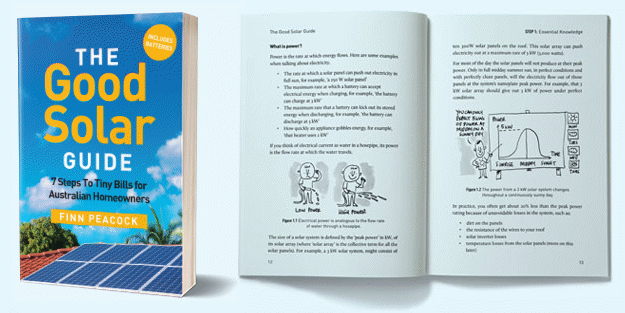 A completed Solar Provider Statement (PDF). The Solar Provider Statement is a declaration from the installation company that it will install a quality system for the applicant that meets the eligibility requirements of the rebate. Households approved for the Solar Homes subsidy will be provided with an eligibility number and a link to apply for the rebate once the solar power system is installed. You must have your rebate approved and be in possesion of an eligibility number before you get your solar installed. If you don’t, you won’t get the rebate. Information that is missing at this point is how long applications will take to process and the timeframe for the rebate to be issued. Rebates will initially be provided to householders directly, followed by a new process enabling installers to factor in the rebate as part of their invoicing. Also not clear is what to do in the case of a Council rates notice in some circumstances – e.g. a new build or recent acquisition. Further notes on applying for the rebate are here. The Victorian Government is also providing a $1,000 rebate on solar hot water systems for 6,000 households – applications for those rebates will open soon. While not all 10,000+ who have already registered their interest will buy systems, it’s safe to assume that the 10k figure will be achieved quite quickly. This first stage1 of the program is funded until June 2019 with enough cash to cover around 24,000 installations. While the level of interest creates a sense of urgency given the limited funding, households should exercise care to ensure they invest in a system with good quality components optimally installed by a competent professional. The Solar Provider Statement mentioned above warns those applying for Solar Homes rebate eligibility that they are not required to provide home ownership or income details to an installation company – and if asked for these details, it should be reported to Consumer Affairs Victoria. 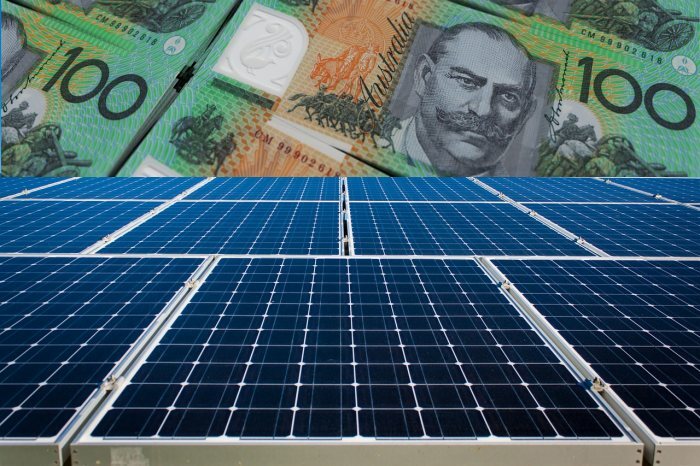 Solar Victoria has also previously warned it has received alerts that scammers have been targeting households in the state in connection to the rebate. The body also says it will be keeping a close eye on system installations. “Safety, compliance and the integrity of the Solar Homes program is of the highest priority for Solar Victoria,” it states. “We will conduct regular auditing of compliance requirements and installations to ensure the integrity of the program and safety of installers and householders is achieved. While of course the hope is that every single installation will contain high quality components that are professionally installed, no doubt there will be issues from time to time – another reason to be vigilant when choosing a solar installer. You can save some time and effort in research by taking advantage of our free service and get up to 3 quotes from pre-vetted installers. SolarQuotes puts installers through the wringer so you don’t have to. can you please clarify one point ,I have a 1.1KW system installed December 2009. Unfortunately installation was delayed several moths. Am I eligible for the solar rebate if this original set up is replaced and a new say 3kw is installed? It is pretty clear an upgrade of the existing set up will not be approved. It’s supposedly only available to people who don’t have solar installed (but Ronald is checking into this – he’s waiting to hear back from Solar Victoria). Ronald’s thoughts are there are plenty of people with small older systems and it would make sense to get them off the Premium FiT that runs until 2024 by letting them upgrade to a larger system. However, there’s no word yet on if people can remove old systems from their roofs, install another and then get the subsidy. Just wondering if Ronald has had any luck with Solar Victoria in finding out if you can add to your existing solar PV setup or remove existing to qualify for rebate (If existing was installed prior to Nov 09)? I’m afraid the rebate only applies to systems installed on or after August the 19th this year. Through no fault of your own you were a month too early. Is this rebate in addition to the STCs? We used a supplier you recommended and have had 3 systems installed so far.. However, I think you should make people know that the so called Vic solar rebate seems to be no better than the scams we have been warned about.. I have an existing system and wish to install a bettery… Preferably a Powerwall2…. How do I register for this please. Details of the Victorian battery scheme have not been announced yet. It is possible Victorian battery installers have information about when it starts, but at the moment I can’t see any information online from the Victorian Government on how to apply. I’ll try to remember to put a post up once the information is available. The form for post install is no longer working, any ideas on how to apply for the rebate if you’ve already installed? It seems to take weeks to get a response from them.